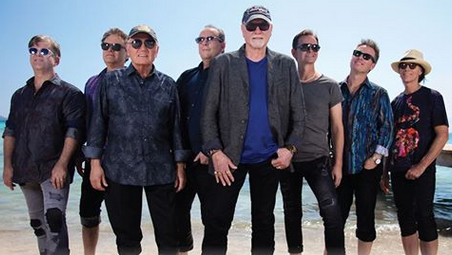 The Beach Boys, America’s first pop bands to reach the 50 year milestone, have recorded and performed the music that has become the world’s favorite soundtrack to summer. Their famous harmonies and classic songs continue to travel the world bringing “God Vibrations” everywhere. Songs like “Fun, Fun, Fun,” “Wouldn’t It Be Nice,” “Kokomo,” “WhenI Grow Up,” “I Get Around,” Help Me Rhonda,” and “God Only Knows” helped to solidity The Beach Boys as one of America’s Preeminent bands of the 1960s. As a special offer for fans attending select dates on The Beach Boys 2018 tour, a digital download of Mike Love new album, Unleash the Love, is included with every ticket.